SULPiTER is co-financed by the Interreg CENTRAL EUROPE Programme. 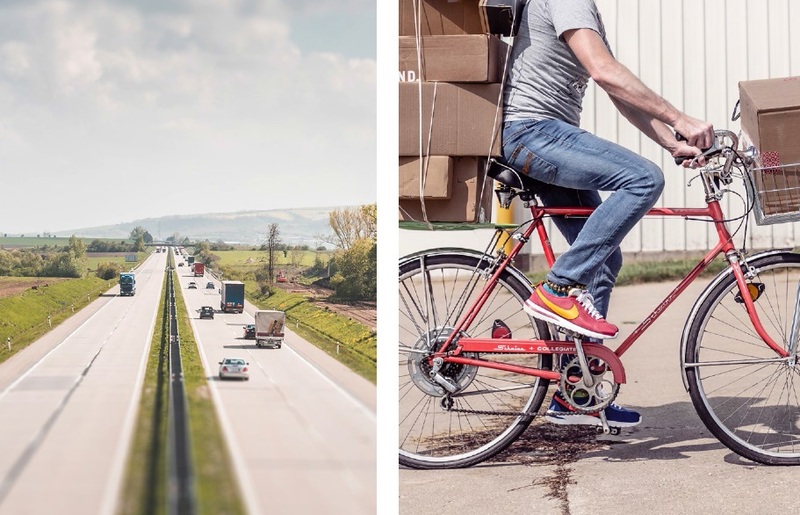 It aims at improving efficiency, competitiveness and sustainability of urban freight transport, while reducing its carbon-footprint and positively affecting traffic flows and congestion in seven Central European cities. The Project fosters innovative approaches to urban planning, such as the concept of functional urban area (FUA), which incorporates the analysis of functional relations between city cores and hinterlands. This is particularly relevant in wider metropolitan contexts facing the challenges entailed by new economic patterns. SULPiTER pays particular attention to engaging with local stakeholders within Freight Quality Partnerships that brings together planners, economic operators and citizens to discuss tangible solutions for minimising the negative impacts of last-mile distribution. It supports policy makers in improving their understanding of the freight phenomena in the respective FUAs from an energy and environmental perspective, enhancing their capacity in planning urban freight and paving the way for the adoption of Sustainable Urban Logistics Plans – SULPs. The CEI - Executive Secretariat participates in the project as a project partner, dealing with rolling out of results for low-carbon freight in CE FUAs and dissemination activities. The testing phase of the Freight Quality Partnership (FQP) of the SULPiTER project (Sustainable Urban Logistics PlannIng To Enhance Regional freight transport) has officially started. Under the guidance of the Regional Union of the Chamber of Commerce of Veneto, these new joint coordination tools – designed to define policies for urban freight distribution – will initially be assessed in seven European cities (i.e., Bologna, Budapest, Maribor, Poznan, Prescia, Rijeka and Stuttgart). On 25-26-27 September, the Partners of SULPiTER (Sustainable Urban Logistics PlannIng To Enhance Regional freight transport) gathered in Trieste for their 3rd Consortium and Steering Committee meeting. On 8-9 November, the CEI participated in the first conference on mobility in the Alps, organised by the EUSALP (EU Strategy for the Alpine Region) Action Group 4 (AG4) on Transport and Mobility in Innsbruck, Austria. The meeting was open to the general public and provided a platform for direct exchange with politicians and stakeholders in the EUSALP framework. It was the first of a series of annual events on the theme of mobility in the Alps, organised by the EUSALP AG4 leader, the European Region Tyrol-South Tyrol-Trentino. SULPITER (Sustainable Urban Logistics PlannIng To Enhance Regional freight transport) has been developed to support policy makers in improving their understanding of the Functional Urban Area freight phenomena in an energy and environmental perspective, enhancing their capacity in urban freight mobility planning in order to develop and adopt Sustainable Urban Logistics Plans – SULPs. This way, the project will contribute to the EC ambitious goal of CP2 free city logistics to be reached by 2030.